What Relationship is My Cousin's Child to Me? Children of your cousin are actually called your “first cousins once removed.” So if you’re wondering what relationship your cousin’s child is to you, that’s it — your first cousin once-removed! Your cousin’s child is NOT your second cousin as is commonly believed. The appropriate name for addressing your cousin’s child is niece or nephew, even though they are actually first cousins once removed. Read more…What Do I Call My Cousin’s Children? What does “Once Removed” Mean? 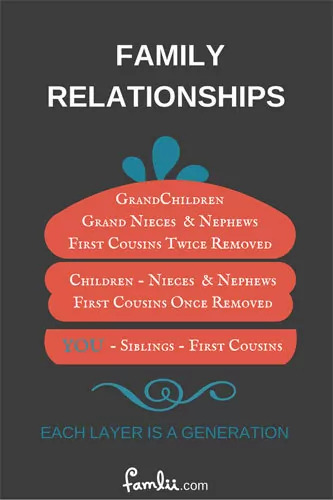 What are “Second Cousins” then? Children of your cousin are second cousins to your own children. First, second, and third cousins each represent a different generational level. First cousins share the same grandparents. Second cousins share the same set of great grandparents. Think about family relations like a layer cake: Each layer is a generation. 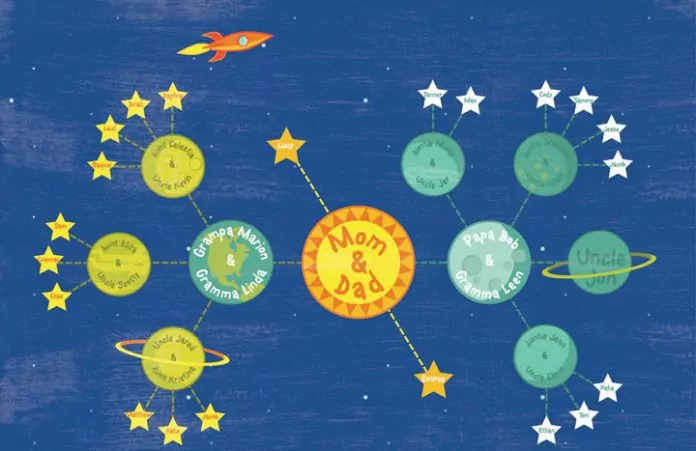 The first layer of kids are all siblings, and the next layer of kids are all first cousins. Within the next generation (or layer), they are all second cousins. TEST: What relation is your first cousin’s once removed child to you? Move two layers on the cake…….your first cousin twice removed! How Much DNA Do My Family Members Share? Double the Family Fun: What is a Double Cousin?